Pregnancy yoga is an excellent way to exercise during pregnancy and to prepare for a normal delivery. Including prenatal yoga into your daily pregnancy routine helps you stretch and strengthen the muscles needed during the birth process. It also helps you work on breathing techniques that are useful for labor. These prenatal yoga videos are great for both beginners and experienced yoga practitioners. Many moms practice pregnancy yoga to help alleviate back and hip pain. Practicing yoga in the evening can even help you sleep better (source). Getting started with prenatal yoga is easy! You can do pregnancy yoga online, or watch a prenatal yoga dvd anytime of day 24/7! Practicing pregnancy yoga online is so much more convenient than a in-person local class. It easier to commit to 15 minutes, or 30 minutes daily, when you don’t have to worry about getting it together to make it to a class at a certain time. This post includes beginner pregnancy yoga workout videos for the first, second and third trimester. 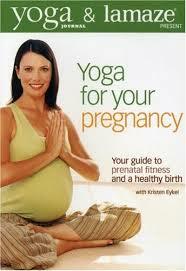 If you are very experienced in yoga, you may want check out this prenatal yoga DVD for a more advanced practice. How can pregnancy yoga help you have a normal delivery? 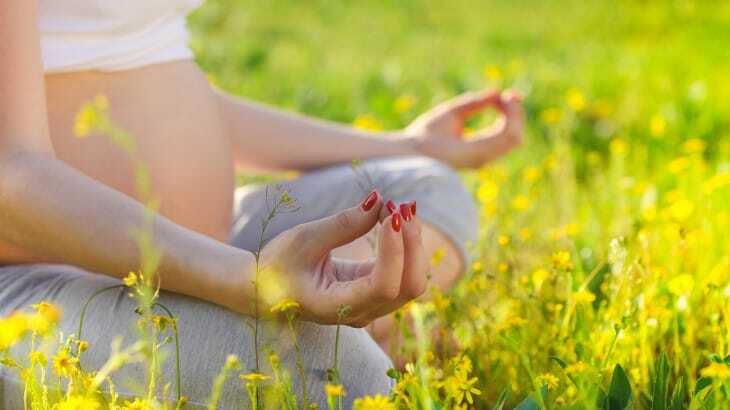 Pregnancy yoga helps prepare the body, mind and spirit for childbirth. By learning to work with your body in pregnancy, you will be more prepared to work with your body during labor, which is necessary for a normal delivery. It helps deepen the connection with your baby. Teaches you how to breathe properly while working the body- something that is vital to understand if you intend to have a natural birth. Helps you learn relaxation techniques needed during labor. Stretches and releases tension in the body. Helps position the pelvis for childbirth. Strengthens the muscles without overexertion. 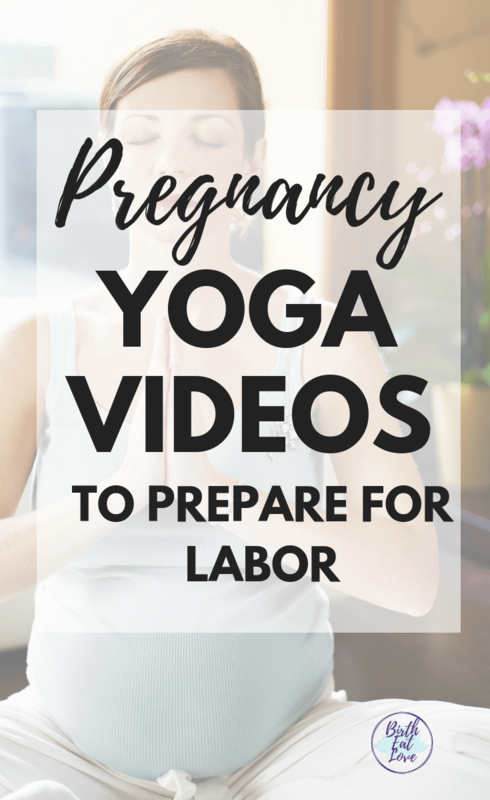 There are so many amazing free pregnancy yoga videos available through YouTube and Amazon Prime. It makes doing prenatal yoga at home so easy. I discovered this basic prenatal yoga workout on YouTube and really enjoyed practicing the 5 videos in the series during my 4th pregnancy. Being a busy Mom of three at the time, I loved that each episode is only about 10-12 minutes long. It makes it easier to find the time to squeeze in a workout before the kids wake up or during nap time. This video is great for beginners, but also challenging enough for those with experience. Give it a try! This 30 minute prenatal yoga routine is a comprehensive workout for pregnant moms. 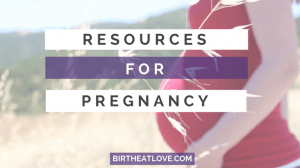 The video focuses on helping your get into a positive and relaxed state in order to connect deeper with your body and tune into your pregnancy. The video feature Indian actress Laura Dutta, but is guided by Prenatal Yoga expert Tonia Clark. Want a simple and easy way to prepare for a normal delivery? Doing squats are a MUST for preparing for a natural birth. This quick 2 minute video shows you the RIGHT way to do squats during pregnancy. This amazing pregnancy yoga video series has 14 videos to help you prepare for a normal delivery. The videos range from 2 minutes to 20 minutes making it easy to squeeze a workout into your day! There are videos on breath work, and ones that specifically focus on relieving hip and back pain. The series includes an intro to hypnobirthing. And there is even a video that you can do with your your partner to practice for labor. The best part is the series is free for Amazon Prime Members. Don’t have a membership? Click here to try Amazon Prime FREE for 30 days! This trimester by trimester video series by Riki Jones walks you through the best yoga exercises to do during pregnancy. Each video is about 20 minutes long are are easy to follow for beginners. These are great because they focus on the needs of each trimester. This is the best prenatal yoga dvd that I have come across. It is challenging enough for advanced yoga practitioners, without being too tough for pregnancy. I chose for multiple reason to skip childbirth classes and prepare for birth in my own self directed way. This video teaches a disciplined practice of yoga and Lamaze breathing methods. It really helped me to have the skills I needed to achieve an all natural hospital birth with my first child. Practicing in the evening before bed really helped me get the aches and pains of the day out and relax enough to get a restful nights sleep. I love the calm, relaxing tone set by the teacher, Kristen Eykel. I really credit the skills I learned doing yoga with giving me the confidence, relaxation techniques and body consciousnesses I used to achieve 4 relatively pain-free, natural childbirths (3 home births!). Thanks for stopping by! Here at Birth Eat Love, we are dedicated to helping Moms have a easier pregnancy and postpartum. Make sure to sign up for email updates below and check out more of our resources for having a healthy pregnancy. Make sure to save this post for later so you can come back and do the workouts! Healthy Pregnancy advice, birth, natural childbirth, pregnancy, pregnancy tips, pregnancy yoga. permalink.